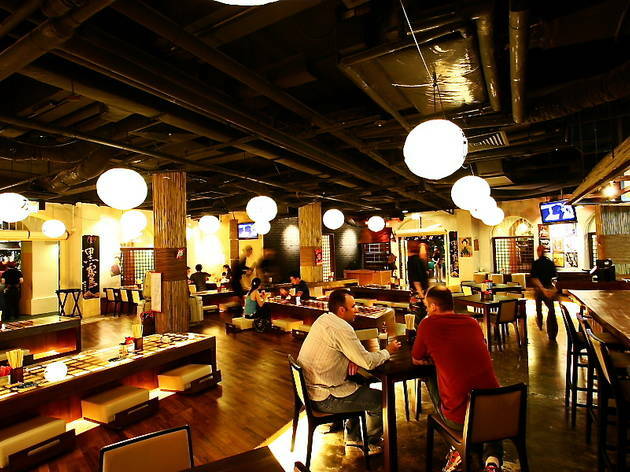 It seems as though traditional sushi bars and ramen joints may be getting shoved out of the spotlight by izakayas – pubs featuring savoury snacks that can be downed with sake or cold beer. 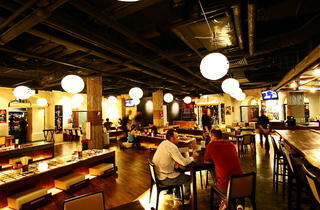 Tomo Izakaya, a welcome addition to Clarke Quay’s dining scene, is one of the latest examples. The fresh octopus marinated in wasabi sauce packed a delicious punch on its own, as did the stewed pork belly served with spicy Japanese mustard, but when paired with a sochu cocktail both dishes hit a whole new level of splendour. Those who opt to sit by the riverfront will miss out on the warm amber glow created by hanging lanterns and traditional floor seating (with a convenient cutout for your legs) that can be found inside. Solo diners can sit at the bar and chat with the chefs while they sprinkle bonito flakes over the agedashi tofu, grind ginger to be served with the grilled cuttlefish and slice pieces of fresh fish flown in from Tokyo’s Tsukiji Market for the sashimi platters.